Improperly fitting shoes can cause ingrown toenails. Ingrown toenail removals are a common procedure for podiatrists. An ingrown toenail most often occurs on the big toe. An ingrown toenail can sometimes become infected. 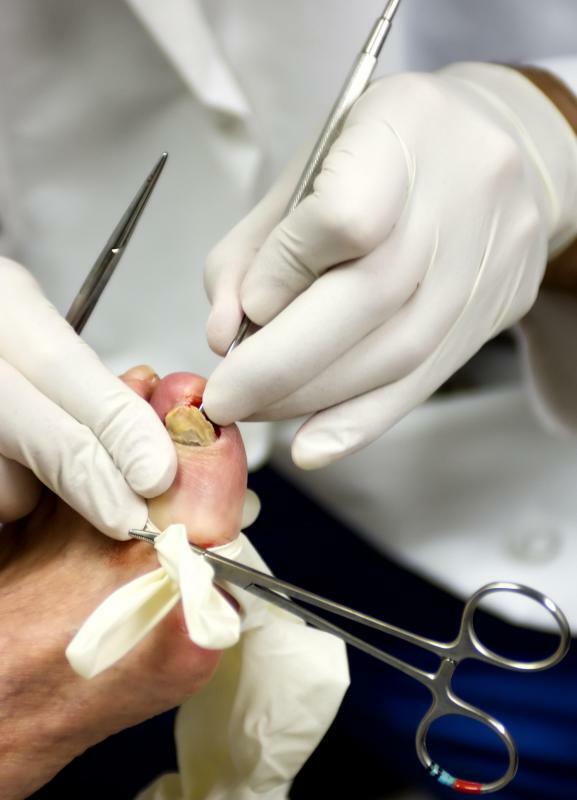 An ingrown toenail that becomes infected may require surgical removal. Getting a regular pedicure can help prevent ingrown toenails. An ingrown toenail, medically termed onychocryptosis, is a painful condition affecting any one of the nails on the feet. However, it most often occurs on the big toe. The side and/or front of the toenail curl and grow into the skin of the toe, causing redness, swelling, and in some cases, bleeding or infection. Mild pain or pressure in the toe is the first symptom of an ingrown toenail. If allowed to progress, the pain will intensify, followed by redness. When a large portion of the toenail has become ingrown, it is visible, but in some cases, a shard of the toenail is the only part that becomes ingrown. Though less obvious than a large ingrown toenail, it can be just as painful, if not more so. This type might feel as though the skin is being pierced by a knife. Sometimes, an ingrown toenail can become infected. Infection symptoms may include warmth around the affected area, raised or protruding skin, and puss or oozing around the nail. If left untreated, an infection can spread, causing further complications. An ingrown toenail can develop for a variety of reasons, and some people are more prone to the condition than others. The most common cause is shoes or socks that are too tight. Improperly fitting shoes can place pressure on the toenail, preventing it from growing normally. Certain methods of nail trimming can also cause it to become ingrown. Cutting the nails too short or in an angular shape instead of straight across can cause the problem. Genetics also play a role in the likelihood of developing an ingrown toenail. Incurvated nails are nails that naturally curve from side to side rather than lying flat on the nail bed. This type of nail curves deep into the skin fold and may often grow inward. Although usually inherited, incurvated nails can also be the result of injury or trauma to the toe. Some health conditions can also contribute to ingrown toenails. People who suffer from diabetes, poor circulation, or other illnesses that cause edema are often prone to them. This is because fleshy or swollen feet protrude around the nail, causing it to grow into the skin. They have a tendency to recur even after treatment, so it is important for people who have had one in the past to take preventive measures for the future. 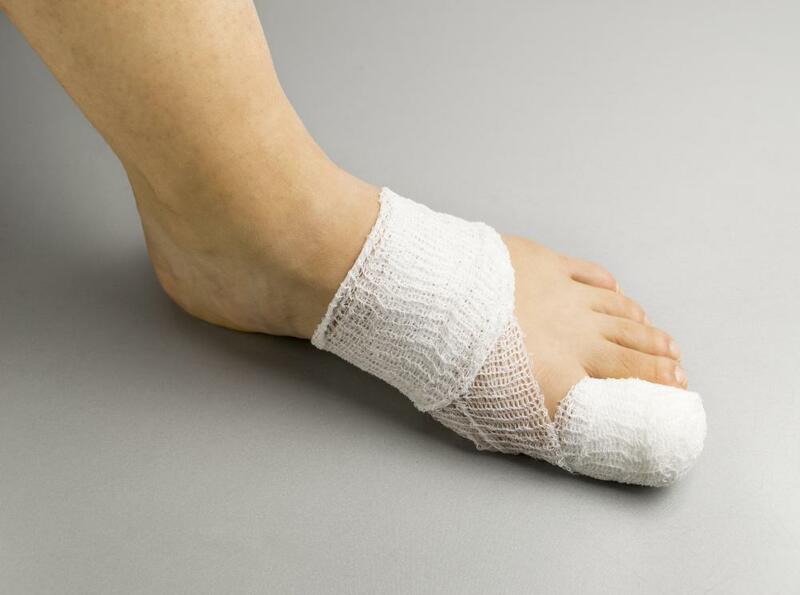 What Is a Toenail Avulsion? How Can I Care for a Torn Toenail? What Factors Affect Toenail Regrowth? What Are the Different Causes of Toenail Bleeding? How Do I Choose the Best Pedicure Socks? What is an Ingrown Nail? How do I Deal with Ingrown Toenail Pain? When I soak an ingrown toenail, should I put anything in the water, or just use straight water? I had heard one site say to only use pure distilled water, whereas others say using bath salts can help, and still others recommend me to soak it in alcohol -- what should I do? @streamfinder -- These are two separate conditions, which you have unfortunately gotten at the same time. What you need to do is this -- treat the fungus first. There are tons of nail fungicides on the market, so all you need to do is go to the pharmacy or grocery store and get a nail fungicide liquid. When your toenail is no longer infested, then you can start to worry about the ingrown toenail. If it's not too serious, a good ingrown toenail home remedy is to simply cut a little "V" in the top of your nail. When the nail grows out, it will pull together to fill the "V" and help get your toenail out of the skin. If it's more serious, for instance, if your ingrown toenail is swollen or putting out discharge, and you have tried soaking it and cutting it, then I would recommend you to a podiatrist. They can help you with a more professional ingrown toenail cure, and you won't have to worry about it any more. Another thing, are you sure it's a toenail fungus and not an ingrown toenail infection? They can sometimes look the same. Either way, if it's serious, or if you just want to get it cleared up as soon as possible, try a few home remedies, then take it to the doctor. I know this is really kind of gross, but what would be the treatment for an ingrown toenail with fungus? I have tried some basic ingrown toenail treatments, but I'm afraid that I'll end up treating the ingrown toenail without dealing with the fungus, and end up having the same problem all over again. Injury to the toe might be another cause for ingrown toenails. It you are prone to this condition wearing roomier shoes and cutting nails straight across might help. Do not round off your toenails when cutting. Home treatment of the condition would involve soaking feet in warm water. Placing a little cotton between the nail and the toe will cushion the area and prevent the nail to cut into the toe. Keep doing that daily until the nail has grown beyond the area where it cuts into the flesh. It is fine to leave the cotton in place, it does not need to be removed daily, just make sure it is in place.